I am excited to share this adorable, homespun wedding today! Morgan asked Lovebird Style to help her define her wedding style and make their day unique. Morgan and I worked together to personalize their day and it turned out beautifully… from the paper airplanes that were tossed during their procession, little airplanes in the homemade pies, picture frames hanging over the dessert table, shaker boxes and Morgan’s collection of milk glass on the tables, to the DIY fabric streamers and family jeep send-off. I absolutely loved working with Morgan and Andrew. I’m so impressed by how they implemented our design plans and hope you enjoy seeing the great photos as much as I did. A big thanks to Artisan Flowers for helping us pull this one off! 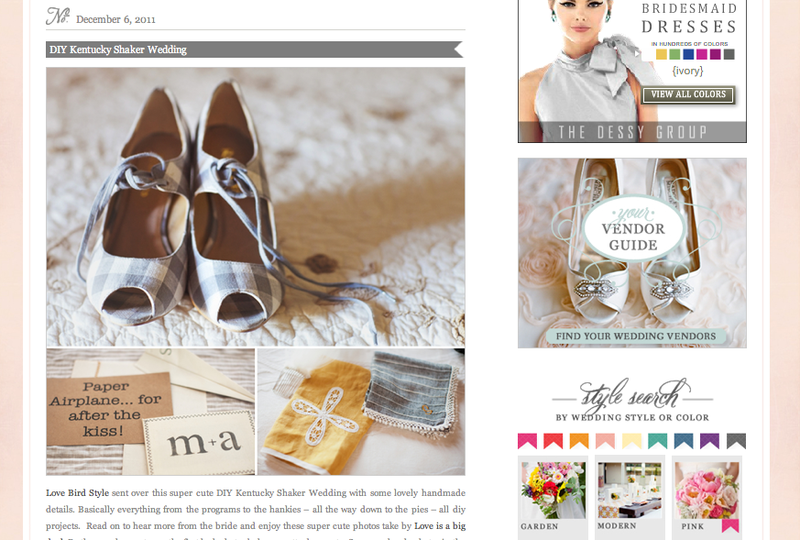 You can see the inspiration board I did for Morgan + Andrew here. 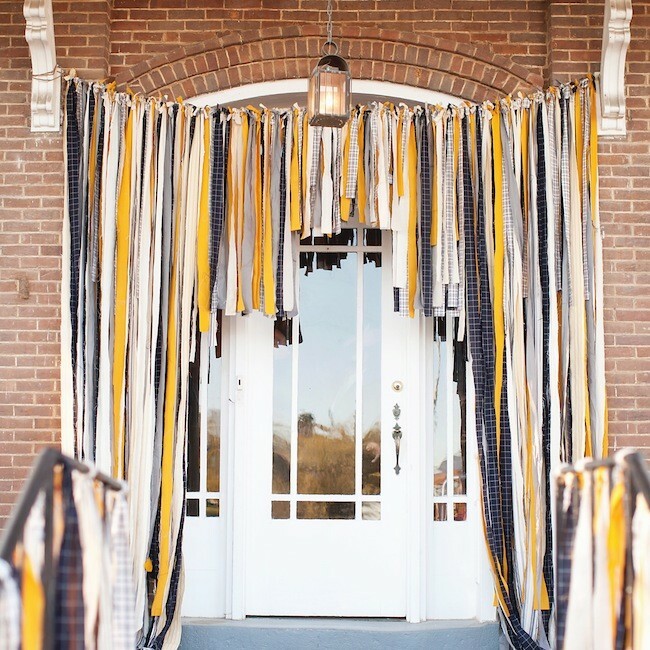 A big thanks to Wedding Chicks for featuring this wedding today! You can see the full feature here and gallery of photos below.